I’m on my way to Amplified 08, a new UK event that brings together people who want to actively contribute to the conference/event that they’re going to – Think BarCamp/ unconferenced events. 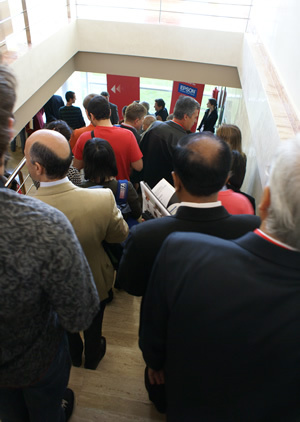 Essential to the event is the lack of hierarchy to the organisation of the event – you don’t have a self-appointed panel of ‘experts’ that decide what is going to be the important things to tell the great unwashed about when they come along – as many ‘official’ conferences are structured. 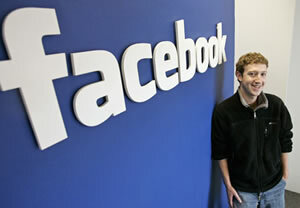 We’re at the Future of Web Applications conference sitting in a presentation by Mark Zuckerberg – CEO Facebook. Refresh your browser to read live updates. 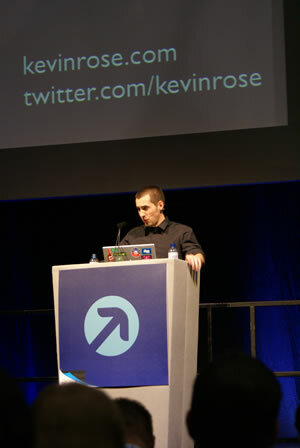 Reporting live from the Future of Web Applications conference being held today and tomorrow at ExCel in London. Refresh your browser to read live updates. [10:23:50] Unanswered question – who to create an ‘experience’ you like. 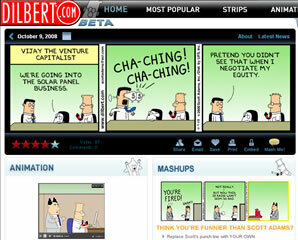 We know that lots of you, dear reader, are into Digital Design. Well, NMK have brought an event to our attention that we think you could well enjoy. Digital Design Day is part of the London Design Festival and will be running the full day of 17th September 2008 at the Southbank Centre in London. Scheduled to run between 9am and 11:30pm. The breakdown of the free and pay-for events is below. One thing is clear, IFA, _the_ European consumer electronics show, knows how to put on a show and how to entertain. If you’ve been to the show in Berlin that runs between the end of August and that start of September you’ll know what we mean – it’s huge and the companies that exhibit there really go to town to make their stands special. Here’s an interesting video that we grabbed at IFA last year. The concept? Rather than shops needing to have huge stock of every trainer available, all that would be needed is for a stock of virtual trainers. This gives the shops a number of advantages. The shops can be considerably smaller, saving money on expensive ground rent; they’ll be able to sell trainers that they don’t have in stock; trainers that don’t even _exist_ can be sold – how good is that for a business? 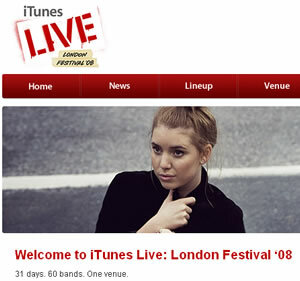 Apple are ‘keeping it real’ again this year, with the second iTunes Music Festival. It’s an opportunity to actually see the people who normally just trickle out of your iPod headphones for speakers. This year’s event will be at Koko in Camden (nee the Camden Palace), between 1 – 31 July. It’s all opening with N*E*R*D on 1 July. There’s 60 bands playing in total with other artists performing include The Ting Tings, CSS and Chaka Khan. The London Sci-Fi film festival is on this weekend and sounds like it’s well worth a visit after we spoke to Louis Savy, the Festival Director, last week. They’re tying up with Archos too to show some of the short films. One of the clear upcoming trends for TV manufacturers is to try and persuade you to change your current flat screen (if you’ve taken the plunge already) to an even thinner TV. 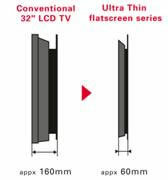 While we were at IFA last year, we were stunned by the ultra thin TV shown by Sharp, which came in at a crazy 20mm, at its thinnest point – it was only 29mm at its thickest!